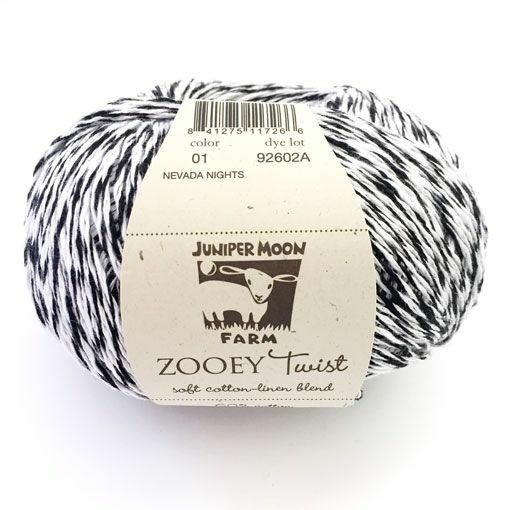 Juniper Moon Farm Zooey Twist takes traditional Zooey to a new level. This blend of cotton and linen is amplified by joining two different colors to create a finished piece fabric with marled coloring. Plant based fibers such as cotton and linen are perfect for keeping you cool during the warmer months. 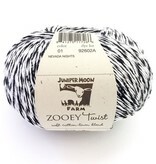 Zooey Twist is an ideal dk weight yarn choice for accent scarves, short sleeve tees, and layering cardigans. 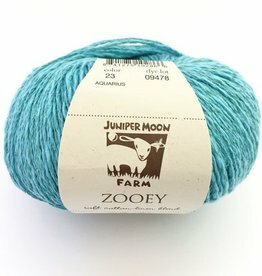 Juniper Moon Zooey is a dk weight, cotton/linen blend with a thick-and-thin quality. The tonal heather colorways are ideal for garments and accessories.